Mix all ingredients together well, then spread on flour tortillas. 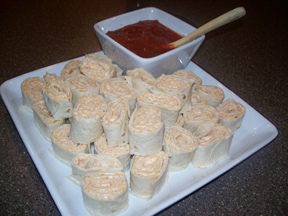 Roll the tortillas and place in an airtight container overnight. 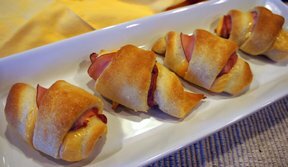 Before serving, cut into slices 1/2" thick approximately. May serve with picante, also makes a great dip. This recipe can be cut in half. 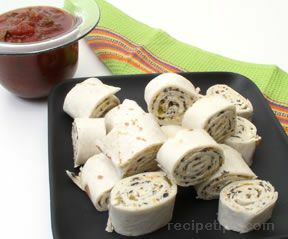 Variations: Experiment with different flavored tortillas or add ham or turkey to rollups.